This city was pivotal in the progression of modern films, so it’s no surprise that there are plenty of epic Chicago filming locations. Before Hollywood took over the industry, Chicago was a crucial hub for feature film production. Fearing competition from independent film makers, Thomas Edison created Motion Pictures Patents Company (MPPC) to monopolize the industry. On top of vehemently protecting patent rights, MPPC hired two Chicago-based studios to create licensed short feature films. Despite eventually going under when the MPPC was disbanded and the industry moved to Hollywood, these visionary companies made a profound impact. From creating acclaimed shorts of Charlie Chaplin to the first all-African American films, Chicago has always been known for innovation. Thanks to tax incentives introduced by former Mayor Richard M. Daley, the number of film locations in Chicago have exploded since 2008. Between 2011-2015, television and film production generated $1.3 billion in Chicago. This included historic scenes shot in The Dark Knight and Transformers 3, along with hit TV shows such as Shameless. The number of films shot in Chicago are increasing every year, which is allowing the city to reenter the industry. Now that all eyes are back on this emerging film haven, producers are flocking to Chicago. Boasting unique architecture and an iconic skyline, Chicago filming locations are in high demand. This includes everything from major motion pictures to photo-shoots as directors scramble to capture the enchanting features of this city. Fortunately, you don’t have to have Steven Spielberg’s budget to access prime film locations in Chicago. There are plenty of ways to capture the most iconic features of the city without closing down Lower Wacker Drive. The sheer amount of options throughout the city is fueling Chicago’s popularity for professional photo shoots and film. To highlight this point, we compiled a list of the best Chicago filming locations. These places are ideal for everything from advertising production to wedding photo shoots, so take your next shots to the next level! 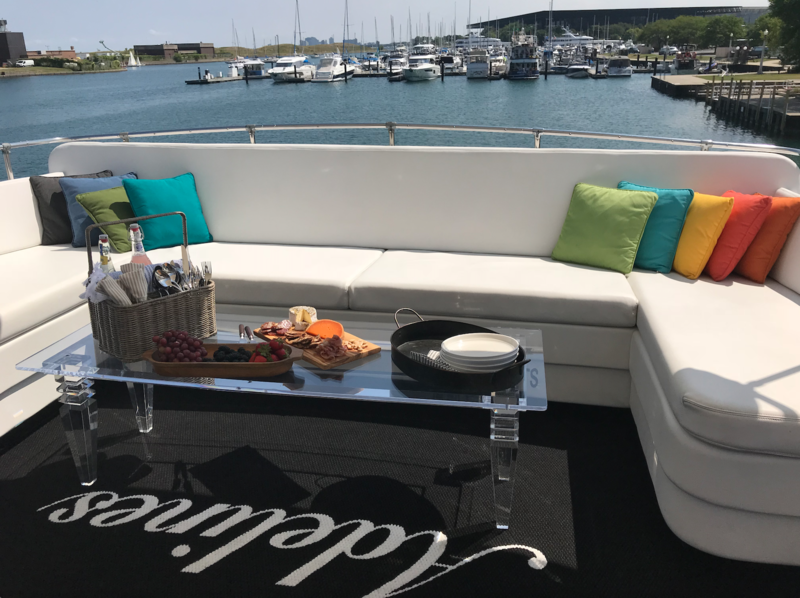 Nothing captures Chicago’s luxurious side like a shot on a private yacht. 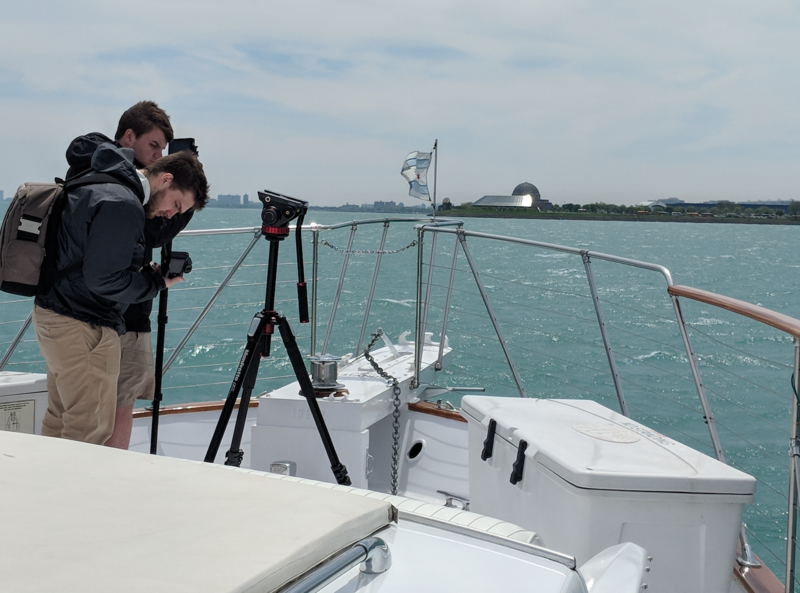 Our 68-foot yacht provides four levels of potential filming space that opens doors to a wide range of productions. From photography to film, everything looks better on our vessel. In the past we have hosted countless professional photo shoots that ranged from weddings to high-end products. Between the breathtaking views and flawless presentation, our yacht is a favorite amongst Chicago-based photographers. 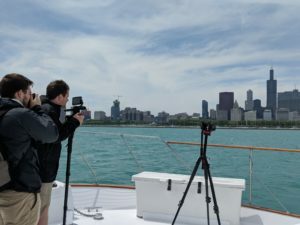 The best part is, we offer a mobile alternative to static Chicago filming locations. While other sets only have one potential background, our yacht is capable of showcasing Chicago’s best attractions from multiple angles. 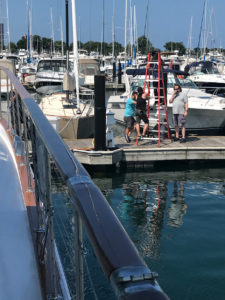 Based in Burnham Harbor, we can provide unique views of various iconic landmarks without even leaving the bay. For those who want variation, we are able to charter down the Chicago River all the way to New Buffalo and Indiana. 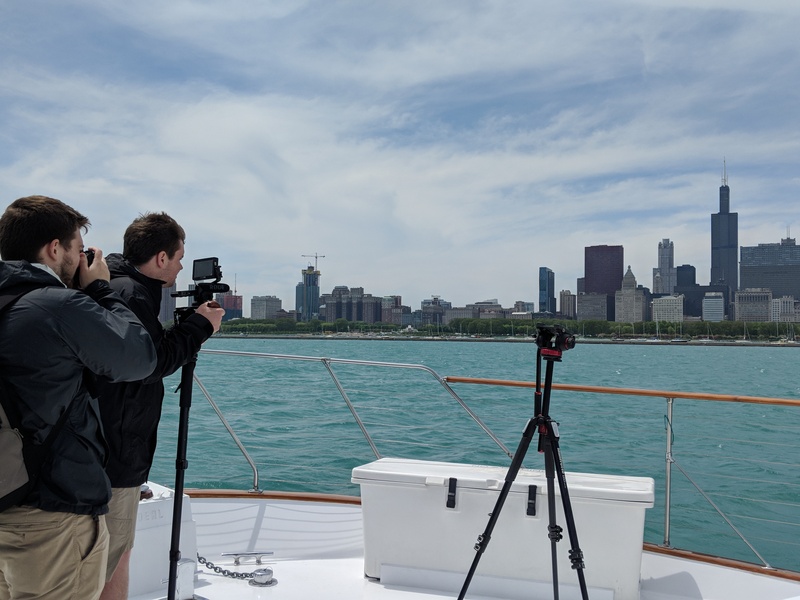 There’s no limit to the amount of shots you can take from our yacht, so contact us to make your dream photo shoot come true! On top of being the largest harbor in Chicago, this area is a prime place to take pictures. Located within walking distance from downtown, Burnham Harbor provides an intimate view of the heart of the city. While the harbor itself is appealing for photo shoots, its surroundings are even more spectacular. Visitors get access to unique vantage points of Shedd Aquarium, Soldier Field, the Adler Planetarium and Field Museum. 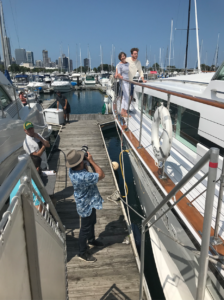 This robust amount of potential shooting locations is putting Burnham Harbor at the forefront of Chicago’s photography industry. To avoid traffic while commuting in from the city, the ideal production option is staying onboard a yacht. Adeline’s Sea Moose has parking and high-end accommodations that are crucial for successful photo shoots. From overnight filming to catering and events, we are here to take your production to the next level. 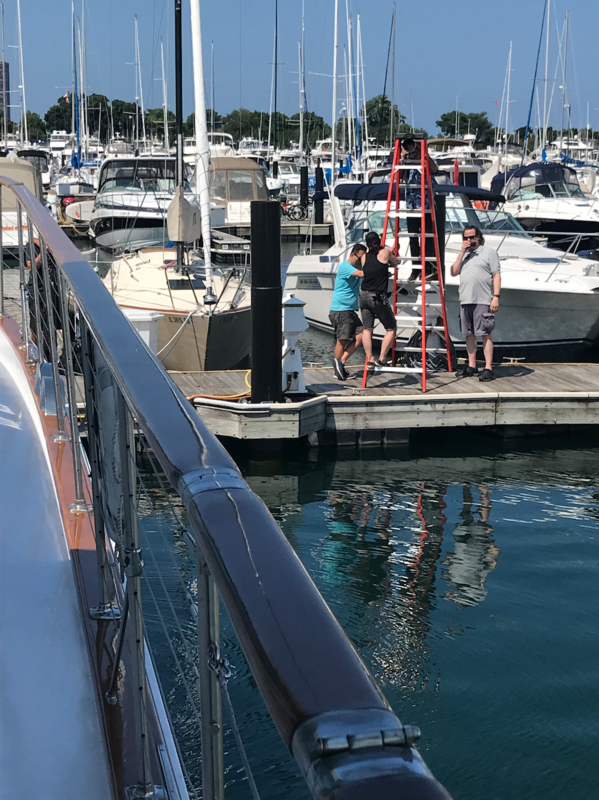 Our yacht is docked in the middle of Burnham harbor, so contact us to wake up on set!